City University of Hong Kong is committed to providing quality higher education to its students. We strive to produce a new breed of graduates who will excel in their professions and possess a broad knowledge base to cope with the challenges of a changing world. The educational philosophy of the University emphasizes whole person development so that students will receive ample opportunities to nurture both the “breadth” (analytical and problem-solving skills, knowledge of the world) and “depth” (subject knowledge and professional skills) of their minds. The University also expects its graduates to have a high proficiency of English and Chinese languages, as well as a good understanding of different cultures. The University has a strong team of experienced academic staff with diverse research interests and professional expertise. Supported by top quality teaching and research facilities, City University provides students with an excellent environment for learning and research. The physical environment, infrastructure and teaching facilities have been adapted from time to time to create an ambiance that encourages intellectual curiosity, social interaction, self-expression and mutual support. The University is proactive in reaching out to society and the world. It has built up strong links with local and overseas universities and organizations to develop collaboration in teaching and research. It has also developed close links with industry and commerce for consultancy and technology transfer. City University feels the pulse of society and is quick to respond to its needs. While the University sees undergraduate education as its core competence, it also places due emphasis on developing part-time programmes, especially at the postgraduate level, to meet the growing demands of life-long learners in an ever-changing society. The University has achieved phenomenal growth since its establishment in 1984. To date, it has a student population of 26,045 enrolled in over 145 programmes at the associate degree, undergraduate and postgraduate levels. 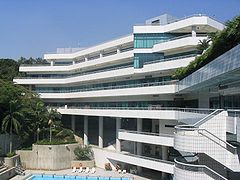 Originally founded as City Polytechnic of Hong Kong in 1984, City University of Hong Kong was granted university status on 1 January 1995. With its vision, mission and role "City University of Hong Kong aspires to be internationally recognized as a leading university in the Asia-Pacific region". And today it is regarded as one of the world's leading academic institutions. 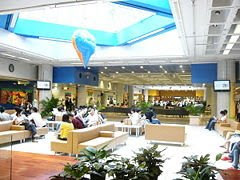 CityU has achieved phenomenal growth since its establishment in 1984. Today, it has a student population of 26,045 enrolled in over 145 programmes at the associate degree, undergraduate and postgraduate levels. In November 2008, the name of "Faculty" of Faculty of Business, Faculty of Humanities and Social Sciences, and Faculty of Science and Engineering has been renamed to "College". The wide range of programmes is offered by three Faculties: Business, Humanities and Social Sciences, Science and Engineering, the School of Creative Media, the School of Law, the Division of Building Science and Technology, and the Community College of City University. All bachelor’s degree and postgraduate programmes are organized under the Faculties and the Schools. The School of Creative Media, the School of Law, the Division of Building Science and Technology and the Community College of City University run associate degree programmes. The Chow Yei Ching School of Graduate Studies strengthens the operation and development of all postgraduate programmes and fosters an ambiance for graduate studies. The School of Continuing and Professional Education helps fulfil the University’s role as a centre for life-long education by providing continuing educational opportunities for the community through self-financing degree, certificate and short programmes.